Why 3 sets by 10 reps? What's the Magic? No. No magic. It's just a very basic weight training prescription for beginners - nothing good or bad or magical - just simple and easy to remember and follow. The 3 sets of 10 reps program got its start in the '40s and '50s in some early strength training experiments. Some fitness pros even laughed at this 3x10 program as "amateur" way of weight training. If you've been lifting weight but haven't gained much strength or muscle, changing up your weight training routine may hold the key to reveal your six pack abs. Who don't want firm and flat abs? Reasonably simple, huh? Yes, but there's more to it. The combination of all these variables determine your training volume and intensity and your results. Comments: The order of exercises is dumbbell bench press first followed by dumbbell flyes. Each exercise is performed for 3 sets by 10 reps at respective weights. The lifting tempo is 2-0-1 rep speed. The rest interval between sets is one minute. The weight loading pattern is straight set; i.e., same weight through each exercise. Some people may call Dumbbell Flyes as "post-exhaustion" set in this combination. Well, a lot more than you think. The following shows several variations to above weight training routine with comments. Comments: The order of exercises is reversed. Flye is an isolation exercise that would tire out your pec as an "pre-exhaustion" set. You may be able to "fly" more weight first, but you almost wouldn't be able to lift as much in the subsequent Bench Press (a compound exercise). Comments: By reversing the set x rep combination to the low rep range and heavier weights, you're training for maximum strength development. Training load and intensity are higher. You typically have to reduce training volume and rest longer between sets to recover from metabolic and physiological stresses. Repeat this superset two more times for a total of 3 sets with1-minute rest between supersets. Comments: Superset means you do two exercises back to back without rest. Take the rest till you finish both exercises as one set. These two exercises could target the same muscle group as it is in this case. You can also superset unrelated muscle groups (such as leg and shoulder) or opposing muscle groups (biceps and triceps). Comments: DB Bench Press loading pattern is a regular pyramid method. Start with lower-weight/higher-rep set and progress to heavier- weight/lower-rep set. Dumbbell Flyes loading pattern is an inverted or reverse pyramid scheme. Start with heavier-weight/lower-rep set and progress to lower-weight/high-rep set. There are also more complicated double pyramid and flat pyramid loading patterns. By simply changing the tempo, it makes a lot of difference in the time under tension (TUT) on your muscles. Tempo (rep speed) refers to how quickly you lift the weight (concentric or "positive" phase) and lower the weight (eccentric or "negative" phase). The 3-point tempo prescription of 2-0-1 means that you take 2 seconds to lower the weight, zero second pause at the bottom (stretch), and take one second to lift the weight. A more complicated 4-point tempo prescription adds the 4th digit for the time to hold (contracted) at the top of lifting. For example, a "3-0-2" tempo prescription on the original straight set routine would make a huge impact on how you feel on the muscles and muscle growth. You'll probably start to feel that kind of unbearable muscle soreness by the 8th rep. You're struggling through the last two reps. That's the difference! By reducing the rest interval between sets (say from 1 minute to 45 seconds), you'll be able to improve your anabolic conditioning and anaerobic fitness. You only rest till you're "almost" recovered and go for the next set. You don't wait around for 3 to 5 minutes till fully recovered. Watch out for this routine as it's very taxing to your mind and body. You probably have to reduce the weights, too. So check out your ego. One extreme example of this variation is modified Olympic Power Training Routine. Anaerobic conditioning and performance is achieved by training and pushing VO2 max and lactic acid or lactate threshold. I covered this topic before about periodizing your training program. After a few weeks of dedicated and consistent training, you've gained some muscles, become stronger, and are able to lift heavier or more reps. That's, you're adapted to the workout routine. You need new stimulus to continue to build strength and grow muscles by progressive overloading. Why not try 3 sets x 12 reps at 45-second rest interval or 4 sets x 8 reps at 90-second rest interval, even on the same weights and exercise combination? Aren't you having enough yet? The list of variations can go on if you start to add more or different exercises to work on chest muscles. There are also other training methods such as tri-set, giant set, drop set, forced rep, super slow rep, "negative" focused rep, etc. You see, there are a lot more variations available for changing up your weight training routine than you can imagine. You'll never be bored with weight training. One mistake made by many beginners is that they change their workout routine too often. Some keep changing their programs or routines in every workout or evey week. They try all sorts of fancy body part split routines they can find in the books, body building magazines or from their gym buddies. You have to stay on and complete one program for a prescribed period, be it 3, 6 or 8 weeks. Do not try a different variation in every workout; otherwise there is no accumulated, consistent and positive training effect on the muscular, neurological and hormonal levels. It also needs to be designed and integrated into the longer training macrocycle as periodization. Each variation has its purpose and effect. Define your training goal first. Pick one variation of your current workout routine and stay on it for at least three weeks. It may help you break your training plateau. You may see new strength gain and muscle growth in no time! Sign up for FREE monthly e-Newsletterto receive insider training tips, workout routines and check out your FREE bonus e-books to help you build muscles, lose fat and uncover your six pack abs. "Denville, NJ" "Boonton, NJ" "Montville, NJ" "Kinnelon, NJ" "Mountain Lakes, NJ" "Rockaway, NJ" "Randolph, NJ" "Succasunna, NJ" "Chester, NJ" "Morristown, NJ" 'Mendham, NJ" "Madison, NJ" "Chatham, NJ" "Short Hills, NJ" "Sparta, NJ" "Hackettstown, NJ" "Montclair, NJ" "Wayne, NJ" "Bedminister, NJ" "Basking Ridge, NJ" "Bernardsville, NJ" "Personal Trainers" "In Home Personal Training" "Morris County, NJ" "Sussex County, NJ" "Essex County, NJ" "Passaic County, NJ" "Somerset County, NJ" "Fitness Bootcamps" "Biggest Loser" "Fat Camp""Fat Loss" "Weight Loss" "Female Personal Trainers"
< 'JUMP-START YOUR BODY! 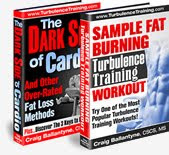 '> 5-Part e-Course to Help YOU Burn Fat, Build Muscle, Get in Shape Faster in Less Time! Your privacy is our #1 priority. Your information is never rented, traded or sold. Schedule Your Complimentary Fitness Consultation TODAY! 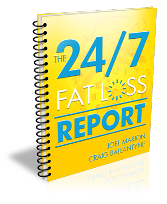 Free Special Reports (worth $197) to help you burn fat, build muscle, get in shape really fast! 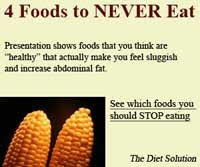 Burn The Fat. Feed The Muscle. Subscribe in an RSS reader.